Black Friday and Cyber Monday deals continue at Noseminster. Through the end of the month use BLACKFRIDAY18 to get 15% off your entire order! 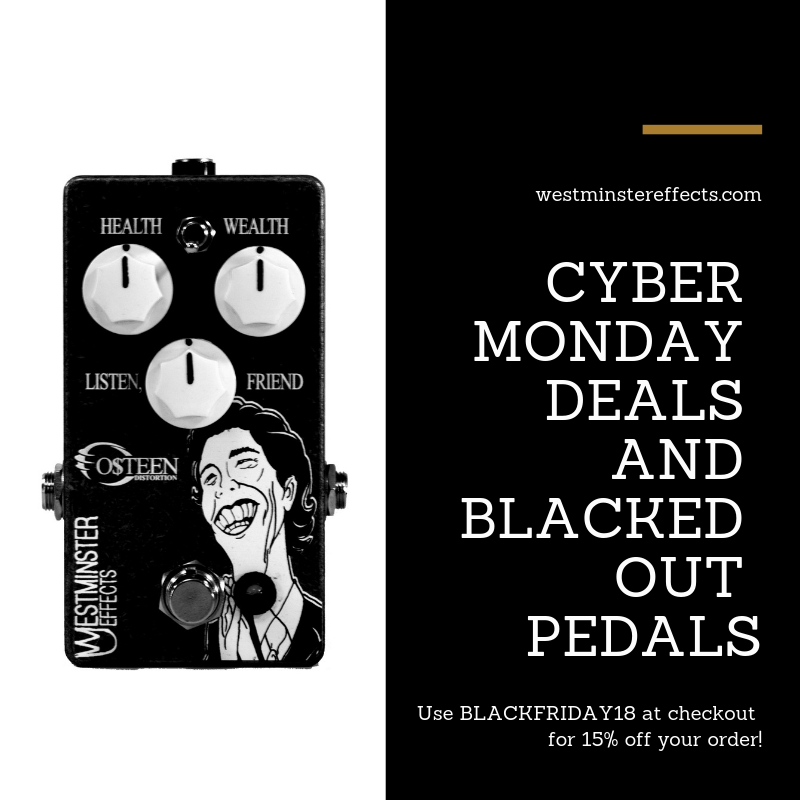 Also, we’re offering blacked out versions of the Osteen Distortion and Chick-del-A to support our NAMM trip. Click those links to order yours!